The internet can be your portfolio to showcase your talent, and Jessica Villane a.k.a. JBunzie does it so well. 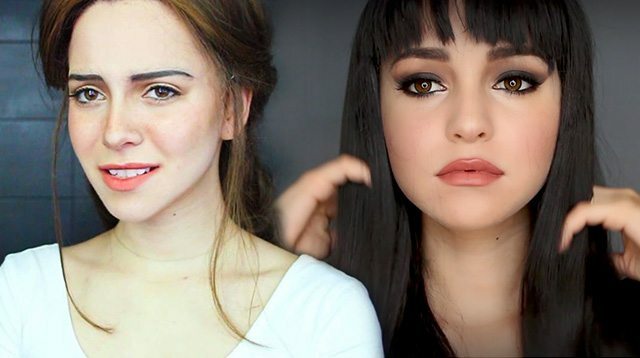 If you stalk her Instagram account and YouTube channel, the cosplay-loving makeup guru has created insanely accurate makeup transformations. In 2015, Jessica got everyone shookt (it wasn't a word back then, but it's so appropriate for this situation) because of her uncanny resemblance to Miley Cyrus. 3. Umm, Tinkerbell, is that you? 4. Also...this interpretation of The Lion King's Nala is damn impressive. 5. She even nailed Cara Delevingne's bold brows and fierce eyes! 6. Jessica's version of Emma Watson as Belle was on point! 7. Ariana Grande herself would do a double-take! 8. Lastly, her clever trick of copying Selena's youthful cheeks was superb!